More like a diary, notebook, reminder. I will record here my quests. At the moment there is only two but I don't have that name without reason. Lol Soooo....yeah. Each challenge I changed a bit. Some to keep my lair from overflowing, some because....just because. [center][b][size=7][color=magenta]Breed out the ugly-Double ugly edition[/color][/size][/b][/center] Eyeburner font color for this challenge. XD Starting post for my real breed out the ugly challenge, even though I started this the latest. I was reading through the full thread and really wanted a normal breeding pair, just following the simple rules, so here it is. I was looking through the AH, I found both of my founders for under 5000. [quote=founders] Unfading [url=http://flightrising.com/main.php?dragon=36127141] [img]http://flightrising.com/rendern/350/361272/36127141_350.png[/img] [/url] Aaaand Disaster [url=http://flightrising.com/main.php?dragon=36134521] [img]http://flightrising.com/rendern/350/361346/36134521_350.png[/img] [/url] [/quote] *blinking blood* That boy is my favorite so far. XD Like... It hurts...poor boy. More like a diary, notebook, reminder. I will record here my quests. Each challenge I changed a bit. Some to keep my lair from overflowing, some because....just because. Eyeburner font color for this challenge. XD Starting post for my real breed out the ugly challenge, even though I started this the latest. I was reading through the full thread and really wanted a normal breeding pair, just following the simple rules, so here it is. I was looking through the AH, I found both of my founders for under 5000. *blinking blood* That boy is my favorite so far. XD Like... It hurts...poor boy. I have never though of starting this challenge. I can see potential in most dragons with some gene scroll. If nothing else, my progen would have been able to qualified for this. And then jaguar gene came along. Lol And capsule. I lost. 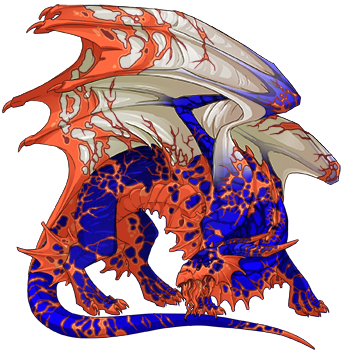 But then one day scrolling through AH I found a guardian with a crackle gene and I impulse bought it. Kept looking at her. I still don't think she is pretty....or is she? I couldn't decide. I named her Scarab, left her alone. She grew up, I breed her one last time before exalting...what I couldn't do even until now. There is two thing I didn't like on FR. Guardians and crackle. Looking at Scarab I was thinking maybe I can find a crackle derg who has nice crackle...but I wanted to do that by using Scarab. My first Guardian-love. 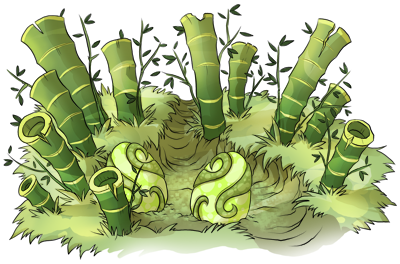 After I breed her, I got three hatchlings. Two took after they dad and got underbelly instead of crackle. They are better looking but still not what I wanted. I wanted a crackle. Little third guy was the answer. He is not bad either but I so don't like his colours. And so begins my journey. I will use Scarab as my founder, baby Sky as my Gen2. It goes on until Gen5. If still don't like the colours, Scarab needs to start a new line. The first nest hatched three kids. Got Scarabs breed, but all genes came from Mikuo. Pretty all over. Got mums breed too (not a surprise) also her secondary gene. From Mikuo petals and underbelly. Then there is my cute little Gen2 baby. He is yet to be named, I just named him Sky after his primary...but its fitting...so lets leave it as it is. Sky got his mum's breed, secondary and tertiary. He is with p3tals but it's hard to see from that weird crackle. XD My gen2 is uglier then my founder. So that's it. I have to wait until Little sky grows up, and nests...I got a girlfriend for him already. The colours though. XD Eyeburner warning!!! [b][center][font=georgia][color=darkcyan][size=7]Alphabet Breeding challenge[/size][/color][/font][/center][/b] I started reading through the [url=http://www1.flightrising.com/forums/qnc/1842634] challenge post [/url] from chronoimp and I wanted to start this challenge too. I already pisted my first pair there but I really needed a post to keep this on track. I was short on lair space but I wanted this challenge. I had just bought a couple of hatchlings so I let THEM decide if I really do it or not. I Always use random name generator becuse Im terrible at naming dragons. I checked and I did have one girl who's name started with A letter. So she was my founder. I just needed a mate for her. My founds were 10k, I checked the AH for cheap plentiful breed. I found a mate too. [quote=Founders] Annalist Nocturn female Violet crystal/cerulean facet/Grapefruit glimmer ([s]What is with me and Grapefruit tert on my founders???? [/s]) [url=http://flightrising.com/main.php?dragon=35137590] [img]http://flightrising.com/rendern/350/351376/35137590_350.png[/img] [/url] Akela Male fae Eldritch petals/seafoam butterfly/caribbean glimmer [url=http://flightrising.com/main.php?dragon=31893907] [img]http://flightrising.com/rendern/350/318940/31893907_350.png[/img] [/url][/quote] They nesting a three eggs nest, and they will hatch in a couple of hours. I will have some pretty fae babies. XD yey. challenge post from chronoimp and I wanted to start this challenge too. I already pisted my first pair there but I really needed a post to keep this on track. I was short on lair space but I wanted this challenge. I had just bought a couple of hatchlings so I let THEM decide if I really do it or not. I Always use random name generator becuse Im terrible at naming dragons. I checked and I did have one girl who's name started with A letter. So she was my founder. I just needed a mate for her. My founds were 10k, I checked the AH for cheap plentiful breed. I found a mate too. They nesting a three eggs nest, and they will hatch in a couple of hours. I will have some pretty fae babies. XD yey. Generations in the dragon's bio. Enjoys throwing its weight around. Pity that weight means very little to most dragons. The clown charger's skin is poisonous. Most dragons consider eating them to be more trouble than hunting them. Annalist's and Akela's nest hatched. I had three little fae hatchlings, but I was working and didn't had time to post. One of the kid is already sold, but he was Annalist's mini carbon copy. Except the secondary (which was cerulean) all genes and colours was his mum's. And here is my B generation kid. I just love her colours. Love it. I will look around today to find a mate for her. I found a mate for Beacham. He was quite cheap, 5k t on AH. There were other B named hatchlings but I really like his colours. He is ridgeback...I usually don't do ridgebacks...so he will be sold propably after this challenge. The Legacy Breeding Challenge Finally Glenn was ready to bread. I had hopes that the kids will get some upgrade. 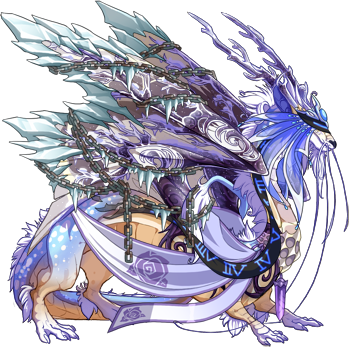 This is Glenn: [url=http://flightrising.com/main.php?dragon=35912448] [img]http://flightrising.com/rendern/350/359125/35912448_350.png[/img] [/url] I chose to breed her with Burns, who has poison/toxin and spines. Great big colour scale so i thought the babies will have some nice colours other then blue. There is also a chance of pearlcatcher babies. 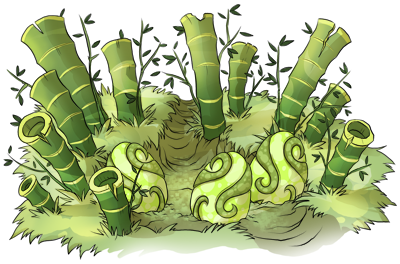 They gave me two egg: Feir [url=http://flightrising.com/main.php?dragon=36374698] [img]http://flightrising.com/rendern/350/363747/36374698_350.png[/img] [/url] No breed or gene upgrade. Still blue. XD The tert is sunshine but its basic soooo...not happy with him. 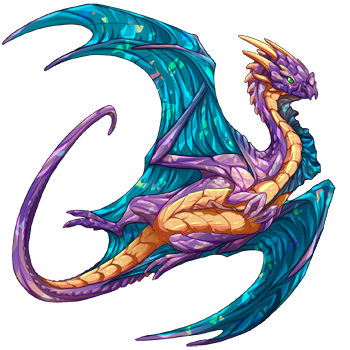 Libra [url=http://flightrising.com/main.php?dragon=36374699] [img]http://flightrising.com/rendern/350/363747/36374699_350.png[/img] [/url] Great kid, navy/jade/yellow colour, breed upgrade to pearlcatcher, still basic on secondary and tertiary. My other pair is ready to breed too, I got four egg from them. But first, let's see the parents. Cybele. Love for first time. I will use her for lots of Challenge. After this, i will start a Legacy Breeding Challenge with her. And 100 hatchie Challenge once I gened her. [url=http://flightrising.com/main.php?dragon=36033166] [img]http://flightrising.com/rendern/350/360332/36033166_350.png[/img] [/url] Mantis/Radioactive/Algae All basic Mate: Otto 7 digit level 16 XXY oldie. 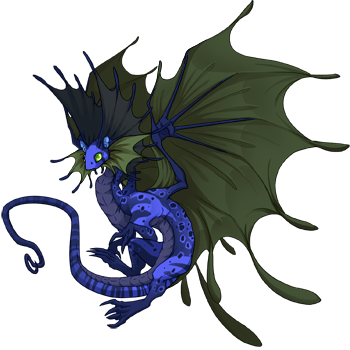 Aqua/aqua/white Ripple/current/underbelly [url=http://flightrising.com/main.php?dragon=6368015] [img]http://flightrising.com/rendern/350/63681/6368015_350.png[/img] [/url] Can't wait to see the kids. *____* Three days more. Finally Glenn was ready to bread. I had hopes that the kids will get some upgrade. I chose to breed her with Burns, who has poison/toxin and spines. Great big colour scale so i thought the babies will have some nice colours other then blue. There is also a chance of pearlcatcher babies. No breed or gene upgrade. Still blue. XD The tert is sunshine but its basic soooo...not happy with him. Great kid, navy/jade/yellow colour, breed upgrade to pearlcatcher, still basic on secondary and tertiary. My other pair is ready to breed too, I got four egg from them. But first, let's see the parents. Love for first time. I will use her for lots of Challenge. After this, i will start a Legacy Breeding Challenge with her. And 100 hatchie Challenge once I gened her. 7 digit level 16 XXY oldie. She is a hard to get woman, Sky was ready to breed almost two weeks ago while she got ready only today. But they gave me three eggs. I checked the possibilities and some of them is really nice green babies, some of them have brown tert.....what I don't really like. XD Am I gonna have some hatchies whp rolled into mud or just nice windy coloured kids? Five days to go. My Alphabet challenge pair got ready two days ago. Brother made me wait a long time too. And I have to say Im up for some crazy coloured poitox babies. Let's see how my gen C will look like. And...they two egged me.